All Wired Headsets require a Cord or Amplifier to connect to a telephone. 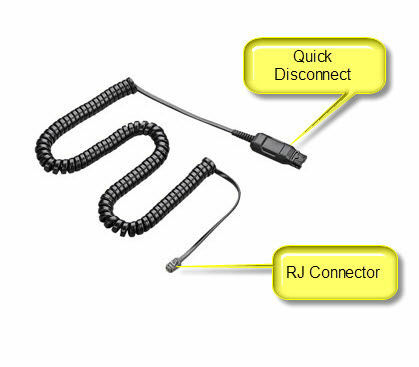 This 3 metre, coiled Plantronics direct connect cord (PN: 27190-01) connects Plantronics H & HW headset tops to compatible (i.e. most) telephones.